This is the first time I can remember an inquest being held into the shortcomings of English football before a ball has been kicked at a World Cup. But Football Association chairman Greg Dyke is trying to get on the front foot early, sensing perhaps that Roy Hodgson's England team are unlikely to cause an upset in Brazil this summer. Remember, Dyke was the man who was caught pretending to slit his throat after England were drawn in Group D alongside Italy, Uruguay and Costa Rica. Use the State of the Game map to see how the UK's world football map has changed. You can discover exactly where players in the Premier League, Championship and Scottish Premiership come from now and in the 2007-08 season. Yet even if Dyke might be accused of pessimism, few could deny it is right to have a debate about the state of English football. Following England's second-round exit against Germany in South Africa four years ago, the Premier League made an attempt to address many of the criticisms directed at it by setting up the Elite Player Performance Programme. After increasing investment in club academies and coaching, it says that the scheme, which is not even two years old, needs to be given time before implementing another shake-up. All this coincided with the opening of the FA's own centre of excellence at St George's Park, yet Dyke still believes there is a case for going further. Each of these proposals is pointed at solving the most obvious problem for young English players, namely how they can get more opportunities to play in Premier League first teams that continue to be dominated by overseas talent. How B teams work in Europe? Reserve teams play in the same league system as the senior sides but must operate at least one level below the first team, and they cannot be promoted to the top flight. A reserve team can still be relegated in the normal manner, and also if their senior team is relegated from the league above. B teams are ineligible for cup competitions. The top reserve division, Beloften Eredivisie, and the second-highest football division, Eerste Divisie, run as separate league systems. However, reserve teams Jong Ajax, Jong PSV and Jong FC Twente broke away for the 2013-14 season and made their debut in the Eerste Divisie, but they cannot be promoted. The only period in which players with more than 15 appearances for the first team are able to move between senior and reserve squads are during the transfer windows. Until 2009-10 the Beloften Eredivisie champions were awarded a KNVB Cup place, but this is no longer the case. Reserve teams are allowed to play within the league structure, but cannot operate above the third division - 3. Liga. Since 2008, reserve teams are no longer allowed to play in senior cup competitions in Germany. 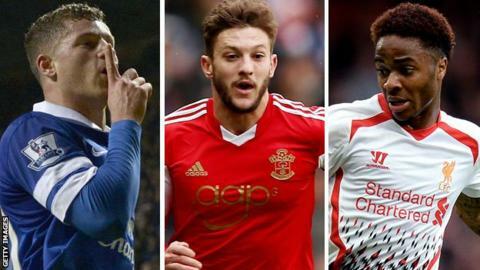 The Premier League argues that it will serve no-one's interest if the quality of top-flight first teams is reduced to incorporate more English players. In short, how will promising English talent really learn to play against the best if they are not proving themselves capable at the very highest level against the very best foreign stars? Such restrictions will, the Premier League claims, drive the best foreign players into the arms of Spanish, Italian and French sides. These arguments are not without merit and Premier League chief executive Richard Scudamore is right to point out that the blame cannot be solely laid at his door. England have been waiting to win a second World Cup since 1966. The Premier League was only formed in 1992. But what is self evident is that there is a need for more ambitious and radical thinking about the approach to developing English talent. Statistics that show two thirds of Premier League teams are staffed by foreign players do not lie. Nor does England's disappointing showing in international tournaments over the last two decades. The Premier League is the richest in the world and it is embarrassing that these resources are not being used to help England close the gap on other European nations such as Spain, Germany and France. Dyke knows this. He also knows that the minute England exit the World Cup in Brazil, then the spotlight will turn on him and the FA.